In order to meet the diversified requirements of esteemed clients, we are actively committed towards offering a wide range of Mandir NE Cap. Besides being manufactured from optimum quality raw material and globally accepted technology, these caps are thoroughly inspected by our quality controllers using latest tools and techniques. Owing to some of their striking features, the offered range is exceptionally valued by our precious clients. 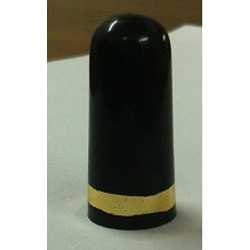 The offered caps are available with us in various sizes and shapes at affordable prices.